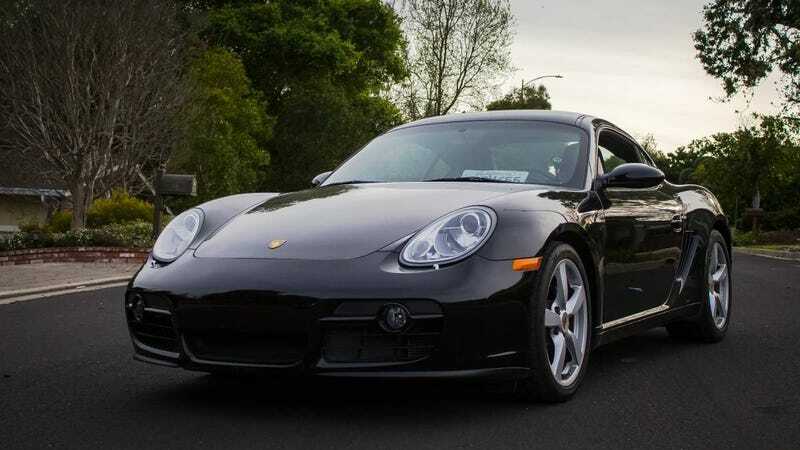 At $21,000, Will This 2007 Porsche Cayman Have You Saying See You Later, Gator? With its low mileage and seriously good looks, today’s Nice Price or Crack Pipe Cayman might make you forget the fact that it lacks an ’S’ on its chest. Let’s see if being ‘base’ makes its price a bitter pill. Last Friday we had a Smart Car with a dumb proposal. The seller of our 2004 Smart Roadster Coupé candidate claimed in his ad that the car was for off-road use only. One look at the little sports car and you’d realize that his interpretation of off-road is very different from ours. No, he didn’t mean taking the modern day Midget on the Rubicon Trail. That admonition was based on the fact that the car is wildly illegal here in the States and runs the risk of getting turned into a Rubik Cube if its sets rubber to road, and its paperwork isn’t up to snuff. With its $26,900 price tag, that’s an expensive risk to take, a fact not lost on the 95-percent of you fine souls who voted down the Smart in a Crack Pipe loss. Rarity and an open top driving experience were about all that Smart had to offer, and the counterpoint to that was pretty overwhelming to anyone with even a lick of common sense. And after all, wouldn’t you really rather have a Porsche Cayman? The most obvious question for today is, wouldn’t you rather have this 2007 Porsche Cayman? The Cayman was introduced for the 2006 model year. Wait, let me qualify that statement. The Cayman S, with its 291-horsepower 3.4-litre pancake six and six-speed transmission was introduced in ’06. The standard Cayman, packing but a 245-horse 2.7-litre and five-speed, had to wait in the wings until the ’07 model year. If Andrew Lloyd Webber’s Phantom of the Opera has taught us anything, it’s that you can start off with a big set piece as long as everything that follows is equally memorable. Leading off with the hot Cayman wasn’t a terrible idea, however it did render the eventual introduction of the base car to be somewhat anticlimactic. That being said, I’m over it. That’s because, while not as taut nor capable as the S, the lesser car is still a ball to drive. Just don’t do so back to back with the S as you will feel cheated those 46 ponies and extra cog. The six speed was an option on the standard car, but this black on black beauty rocks the wider ratios of the five speed. The car also comes with just 60,000 miles on the clock and the assurance from the present owner that the factory maintenance schedule has been duteously followed. The bodywork appears to be in excellent condition, and stands as a reminder that the Cayman about the prettiest thing Porsche has put out in recent times. It helps that the seller appears to have shot the pictures in his ad during the mythical ‘Golden Hour’ which makes the car seem even more dramatic. Inside you get Nav and upholstery that seems to have held up well. The car does not seem to have Porsche’s PASM active suspension option, which means it’s again not up to S standards but is probably still better than pretty much anything else out there. It does appear to have the Sport Chrono package. It also has the ignition key on the left, which makes it a real Porsche, right? Well, yeah, it’s a real Porsche but then it may have not actually been built by Porsche. The company contracted out a lot of this generation Cayman’s construction to Valmet Automotive in Finland. That’s not all that important in this context but is excellent fodder for conversation at your next cocktail soirée. The seller says he is the car’s second owner, and that it has recently passed California’s emissions exam. He has purchased a BMW and now needs to let the Cayman go owing to a present lack of garage space. He’s asking $21,000 for the car which puts it at the bottom end of the Cayman pricing spectrum. Of course, it’s also a bottom end car, so we’ll need to decide if it’s really priced accordingly. What’s your take, is this Cayman worth that $21,000 asking? Or, does that price have you shedding crocodile tears? San Francisco Bay Area Craigslist, or go here of the ad disappears.